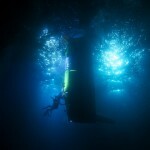 DEEPSEA CHALLENGE / Milestones / Latest News / Mariana Trench Mission This Weekend? Mariana Trench Mission This Weekend? 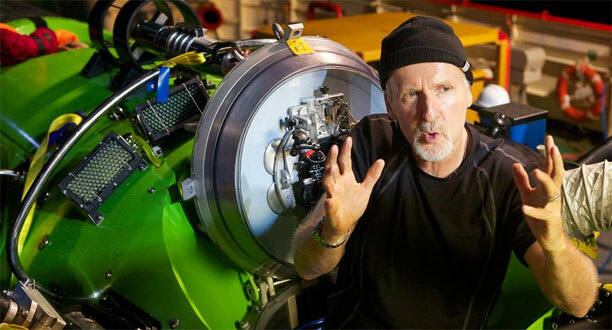 After years of preparation, James Cameron now may be just hours from attempting his unprecedented solo dive to the ocean‘s deepest point, members of the National Geographic expedition confirmed Saturday. 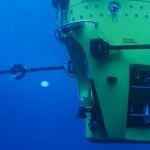 The National Geographic explorer and filmmaker’s team left the tiny Pacific atoll of Ulithi (map) in two ships Saturday morning, local time, on the way to the waters above the Mariana Trench. If seas remain calm—a big if—the team may proceed with Cameron’s submersible mission to the trench’s Challenger Deep this weekend.